Using the same proven hardware as the X-keys Programmable Keyboards, the X-keys Matrix Boards connect to the computer through a standard USB port. Your custom switches or keys connect to the board via a standard two row header with 0.1" pin spacing. Programming is done with a standard keyboard and memorized commands are fed to your computer as if they were coming from a standard keyboard. Any sequence or combination of keystrokes may be assigned to any of the 128 (USB) possible switches in the matrix. Any switch, even toggle and rotary switches, can be connected to the matrix. Programming and reprogramming the switches is simple and fast. The X-keys stores scan codes in its internal memory -- it can be programmed on one computer and moved to another with its programming intact. 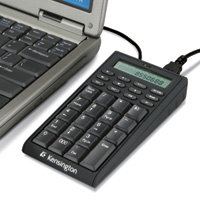 This device is a calculator, full 19-key pad and USB hub all in one! 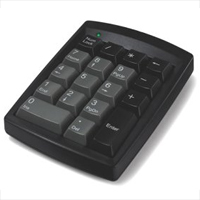 The 3-in-1 design allows you to use it as a fully functional calculator or a 19-key pad for data entry. The integrated USB hub has 2 USB ports for your extra work accessories. Quickly switch between keypad and calculator with a simple press of the mode button. Clear LCD display works in various lighting conditions. No software needed, just plug it in to use. This unit comes with a 2 year manufacturer's direct warranty. This keypad uses mechanical keyswitches and features a 'calculator' style layout. Instead of the traditional double-wide '0' key, 2 single width keys for '0' and '00' are located on the bottom row. Calculator functions such as MS, M+, MC and MR will make using the calculator program built into Windows easier. <br><br> !!! 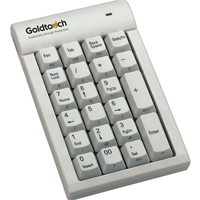 Do not attempt to plug a Goldtouch keyboard into one of the USB ports located on the sides of the USB keypad, as these ports are intended only for low power devices, like mice or USB storage drives. Doing so will cause the keyboard and keypad to malfunction. !!! 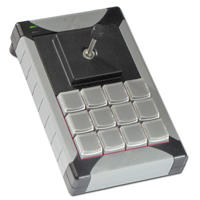 The X-Keys XK-12 plus Joystick from PI Engineering is a 12 key programmable keypad with a precision three axis joystick configurable to report X, Y, and Z position data. Programmability includes macros, hot keys, or multiple steps or sequences. Other features include: red and blue backlighting for each key, and key caps and key blockers for creating custom layouts. 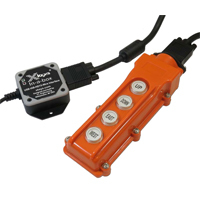 X-keys Pendant Switch from PI Engineering is a rugged, commercial-duty switch primarily designed for light industrial or home workshop applications. This switch is useful in situations where a computer needs to be located a distance away from a working environment yet a few buttons are necessary to start or stop an operation safely with no exposure to potentially dangerous electrical currents. When bundled with the X-keys HD15 USB Wire Interface and the standard HD15 extension cable, the Pendant Switch can send commands to any program controlled by a computer or tablet. Different models include 4, 6, or 8 buttons. Each button has a tactile feel, giving click feedback even through gloves. Each Pendant Switch also has an attachment pin for easy mounting. 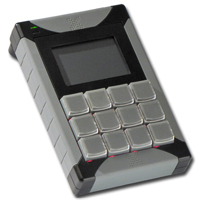 The X-Keys XK-12 plus Touchpad from PI Engineering is a 12 key programmable keypad with a touchpad having three modes or uses: as a pointer, a joystick, or a raw X-Y position control. Programmability includes macros, hot keys, or multiple steps or sequences. Other features include: red and blue backlighting for each key, and key caps and key blockers for creating custom layouts. The Savant Programmable 20-Key Keypad from Kinesis features the same low-force, long-life tactile mechanical key switches used on the Kinesis Advantage keyboards. 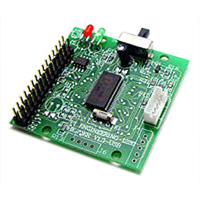 Two-layer functionality allows two functions to be programmed into every key. 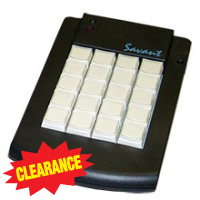 Note: The Savant Programmable 20-Key Keypad has been discontinued by the manufacturer. We are unable to offer our 30-Day Customer Satisfaction Guarantee on this product. This is a PS/2 interface membrane keypad with PS/2 "Y" pass-through cable. This allows you to plug in a PS/2 keyboard into the Y connector, allowing you to use both a PS/2 keyboard and PS/2 keypad simultaneously while only requiring a single available PS/2 port on your computer. Note: No 30 day CSG or warranty. The X-keys 4x6 Mounting Bracket comes with a variety of options which allow one to attach all XK-24 and XK-12 series X-Keys to any flat surface using pre-machined holes in the plates of the bracket. 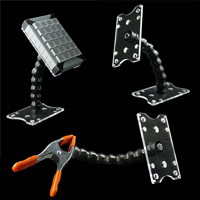 Made of high grade industrial polycarbonate, this sturdy bracket has holes for 75mm VESA mounting and includes screws for mounting to X-Keys. The kits can add up to three modular hoses (one is included; additional hoses are sold separately) to extend the reach of the brackets. The 19-Key USB Numeric Keypad and Optical Mouse from Adesso combines a numeric keypad with a mousing device for those who still need the benefits of a number pad but also need a mouse easily within reach. 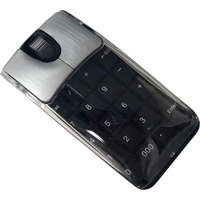 This device includes a transparent cover for the numeric pad when primarily mousing, so that keys are not accidentally activated during usage. There is a large scroll wheel on the pad when surfing the internet, while the mousing device has 1000 dpi resolution for smooth and accurate cursor control. The keys on the keypad feature a reduced key pitch (i.e. the keycaps and spacing are smaller than on a standard keyboard), allowing the mouse to be a standard size. If the key pitch of the keypad was standard, the mouse would only be usable by users with very large hands.